What sets us apart from our competition? Perhaps the most direct way to explain it would be to paraphrase what one of our customers said about us recently in a phone conversation..."Tomes Industries has offered us far more than any other precision manufacturer we work with. Tomes constantly works with us to find better, more cost effective ways of getting things done. They go way beyond being just another bidder. Tomes operates like they have a vested interest in our bottom line, and we really appreciate that attitude." So if you are looking for a precision manufacturing company that goes way beyond just being another supplier, Tomes Industries, Inc. is anxious to prove just how valuable a team member we can be to your operation. 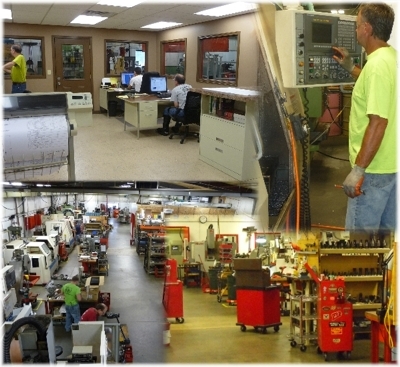 Tomes Industries, Inc. is without a doubt one of the most innovative precision manufacturers in the region. Not only does Tomes Industries, Inc. set the pace for on-time-delivery, on-budget and on spec, but it also is constantly seeking new ways to do things better and then passing the savings on to our customers! That is why Tomes Industries has consistently grown for over twenty years. We make our customers money by giving them not only a great product at a great price, but we give them an entire new management resource as well! 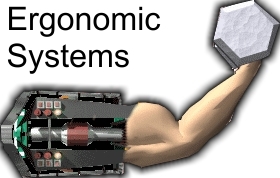 Tomes Industries, Inc. has also established a firm reputation in the field of ergonomic system design and manufacture. Featuring systems custom designed and built from the ground up for our customers around the country. System such as the EZ Lift system (shown right) and the Smart Lift system (See ERGONOMICS page), Tomes Industries can help your company become more profitable, and a safer place to work at the same time. Some of our ergonomic systems have saved our customers so much that they actually paid for themselves in less than a year! Now that is a great ROI. Just call Ron Tomes and visit with him about your needs…That’s right, our owner will take the time to visit with nearly all of our customers, regardless of the size of the order. Our personal service and attention to detail starts at the top and is supported by every single man and woman working here at Tomes Industries, Inc.
Another reason to choose Tomes Industries, Inc. for all your precision manufacturing needs!